There are few places where Alexander the Great’s influence has not been felt. His vast empire spread from the Atlantic shores of Spain to the plains of India. His example has been admired and followed for generations to come, and his legacy has been deeply felt by the entire world. It is said that Julius Ceaser himself began to weep as he stood under the shadow of a statue of Alexander the Great, for Alexander had conquered half the world by 19, and Ceaser not even made a name for himself by that age. And how was he Albanian in any way? Well, first of all Alexander was son of Philip II and Olympia. Olympia, was the princess of Epirus, a province in Northern Greece, considered to be modern day Albania, and an ancient territory of Albanian tribes. This relation of Alexander having Albanian blood is considered somewhat feasible and acceptable by the history books, but we want to stretch out the enigma of Alexander. Initially there is the question of where and to what people Alexander belonged to. It is known that Alexander the Great, was really Alexander of Macedon, and the current flag of Macedonia is the ancient sun flag of Alexander’s army. This seems reasonable, but what really were the “Macedon” people. As stated in the Compton’s Interactive Encyclopedia, “the Slavs, occupied much of the area [Balkans] by the 6th century AD”, so it cannot be possible for the now largely Slavic Macedonia to be a descendant from Alexander the Great. Slavic tribes did not come into the region of Northern Greece until well after Alexander’s death, which leaves only two people left, the Albanians and the Greeks. It is important tot note that the history books have not labeled Alexander Greek, and therefore he can only be Albanian. Albanian tribes are the earliest known to occupy northern Greece, and that allows Alexander only one nationality. Alexander did not have Albanian blood, he was an Albanian. To Albanians this fact seems very clear, for we have named our currency lek, after Leka I Madh. The Barbaric war style of the Illyrians was deeply rooted in Alexander’s spirit, which is good reason for his expertise as a general and a conqueror. More proof of Alexander’s Albanian ancestry would have to be the close relations he had with the King of the Illyrians, practically a man of his own kin. 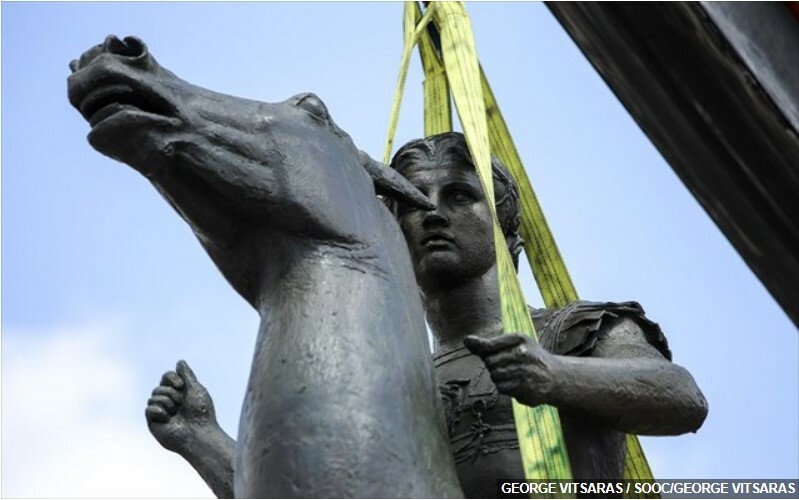 There is an ancient legend that the Illyrian king gave Alexander a large, beastly, dog to commemorate his achievements. The beast was so ferocious, Alexander decided to make it hunt bears. The dog showed no interest in this endeavor and lay lazily without moving. This angered Alexander and he had the dog killed. When the king of the Illyrians heard of this he sent him another dog, this time with a message of “not wasting the dog’s time with small things”. This time Alexander had the dog fight a lion, which the dog quickly broke the back of, and then an Elephant, who the dog forced off a cliff. The extensive diplomacy between Alexander and the Illyrians only suggests that Alexander was an Albanian himself. Also, there is the conquered territory of Alexander. When looking at a map of his advances, oddly enough Illirium and Northern Greece is not touched by his armies. Yet, the Illyrian and Northern Greek tribes did not have armies capable of facing the Great Alexander. But Alexander considered them as one, they were all Albanian. Alexander could not possibly conquer his own land. That is why this area remained untouched. Accepting Alexander’s Albanian ancestry opens a vast world of possibilities. There is of course the long Ptolemy dynasty of Egypt that followed after Alexander’s death, started by one of Alexander’s generals and childhood friend. Accepting Alexander as an Albanian, would mean accepting a big part of Egypt’s history to be determined by an Albanian dynasty, that of Ptolemy. Alexander by 19 was not even king of Macedonia. For the sake of materiality Philip was assasinated in 336 BC and Alexander was at the time 20. Ancient Epirus is considered to be today a part of modern Greece and modern Albania. The rest is undiluted gibberish. If he refers to Albanian history books maybe he is right. For the Historical books of serious historians this is just entirely absurb. More unsubstantiated lies…Alexander’s army hadnt got any flag. 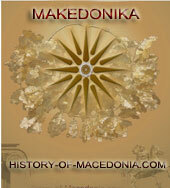 The so-called Sunburst of Vergina is currently considered as symbol of Macedonian royal house. Its important to know this author is a clown since he didnt even cared to read any ancient source. Notice his use of ‘FOREIGN’ about Illyrians! Of course it would seem to Albanians very clear, since they are suffering from CLUE DEFICIT DISORDER. There arent any ancient sources claiming of “Albanian tribes to occupy Northern Greece“. Perhaps the author should sue his brain for non-support. As war style You mean the…Phalanx? So following this moronic Albanian logic, should we also assume Just because Philip had close relations with Thebes that must mean he is a..Theban? Has this lascivious yokel ever heard of Alexander’s campaign against Ilyrians? Or even worst for him the campaigns of Philip II against Illyrians?? Or maybe for him Bardyllis’ thousands dead troops commited…mass suicide lol. So leaving out Compton’s Encyclopedia where it says nowhere Alexander is Albanian, this leaves us the totally unrelated to the subject “History of the… Boerboel in South Africa”. Sounds like our jester couldnt even find a single historical source to support his illusions. ALEXANDER THE GREAT IN ALBANIAN COINS AND BANKNOTES !!!!!!!!! In an exhausting period of total wars among different races(from 12 to 14 A.D.)everyone can presuppose everything!Despite the fact is a synthetic thesis about the Hellenic presence priority’s issues in these territories,Sqiptart can even go further just to show they are tremendously fool(“blind-ed enough elegance”)to convince(guaranteed)modern reference(approaching)to their…so many…”taboos”until now..! 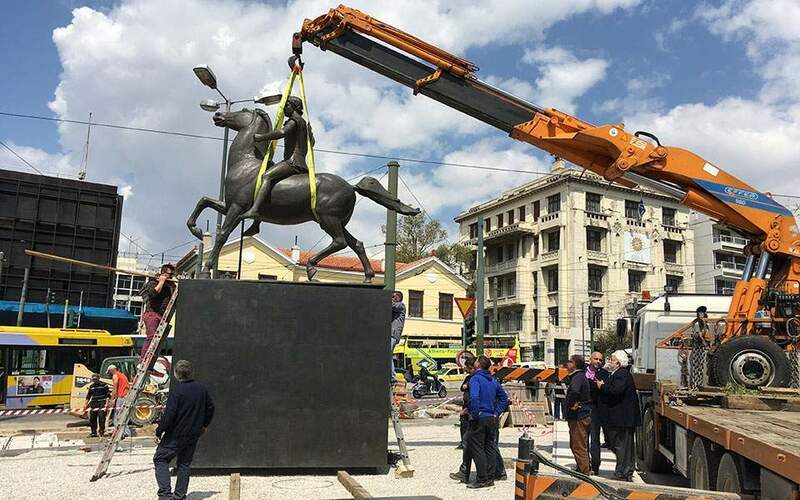 They are trying to convince us they have had an Illyrian past so that we owe them eternal respect!Apart from that,that Hellas/Greece has managed,till now,to assimilate them all..! ”S(h)qip(e)tar(e)t”are exposed,they can,also,been exposed by their own errors from below:http://smerdaleos.wordpress.com/2014/06/29/%CE%BF-%CE%B1%CF%81%CF%87%CE%B1%CE%B9%CE%BF%CE%BB%CE%BF%CE%B3%CE%B9%CE%BA%CF%8C%CF%82-%CF%80%CE%BF%CE%BB%CE%B9%CF%84%CE%B9%CF%83%CE%BC%CF%8C%CF%82-kruja-komani-%CF%84%CE%B7%CF%82-%CE%B1%CE%BB%CE%B2/. Albanian institutions don’t have any official position about these issues, because they don’t want problems with their neighbors. All what Albanian scientists do, is quoting the international scientists. TETOIES MPOURTHES GRAFOUN OI AQLBANOI ETHNIKISTES. With apologies to the admins, I now notice that the comment is extremely old. Sorry again. "Albanians share the same IQ with a fish"
Can someone please clean up such racist drivel? I suppose that Albanians envy the stupidity of FYROMians. And because I don't want to waste my time, read the following link of the hudrends of professors who without any doubt state that ALEXANDER IS GREEK and not your science-fiction writers, missionaries etc etc you've posted (I really enjoyed your posts, they were more amusing than Peter Pan in Neverland). ps if you don't have enough I have some dozens more. Please, feel free to ask. It will be my pleasure. Are these Albanians serious? What on earth do they teach them in their schools? Sounds like their schools are sheltered workshops for the historically, culturally and analytically challenged. The Albanians wouldn’t even graduate from year 7 elementary ancient history classes down here in Australia. 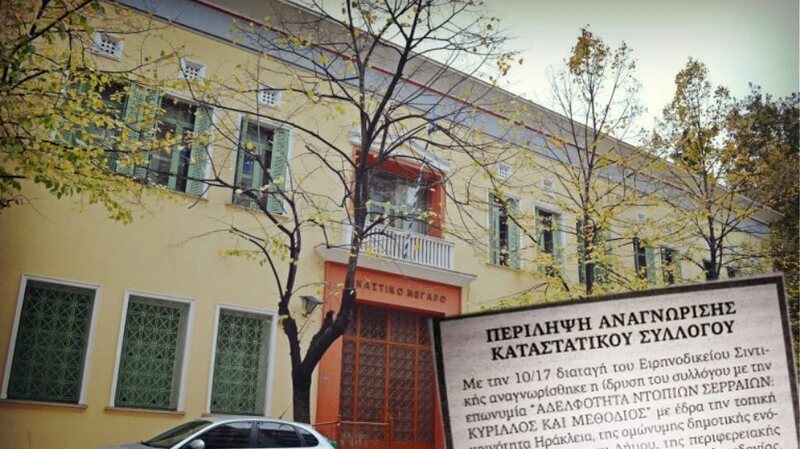 Spoken like a true Greek…..! 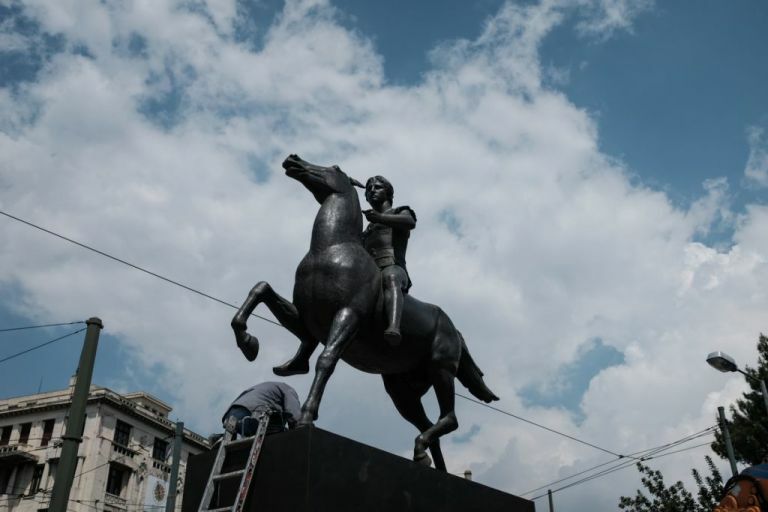 Albanians have a habbit of being incredibly stupid while they claim Greek heroes such as Alexander the great. 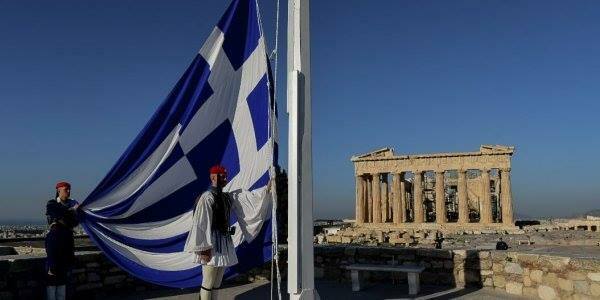 been less than what they were the Greeks without doubt would have written them off as backward barbarians…. !